Whenever we create a windows application and if we are using MDP parent form in that case the process for opening form in MDI window is different as we open form in not in MDI parent. 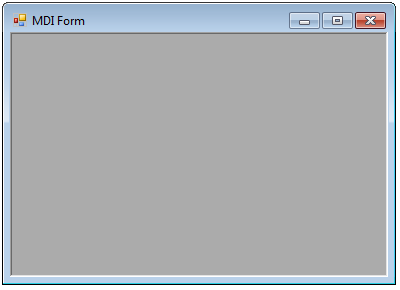 Hear in this artille how to create a MDO form in your windows application. In my previous article i have shown you Open For MDI Parent Using C#.Net and VB.Net. Now for this article you just needed to set IsMdiContainer= True . Now here is the final output.